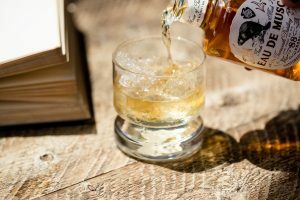 At Tamworth Distilling, we firmly believe in honoring the land around us and producing only the finest spirits with the quality ingredients that land provides — it’s a part of our scratch made mission, and one of our guiding principles. Eau de Musc is no different. We want to assure you that beavers were not killed in the name of whiskey. We work with Anton, a beaver trapper who is called in by NH state to remove a specific number of beavers in order to restore balance. 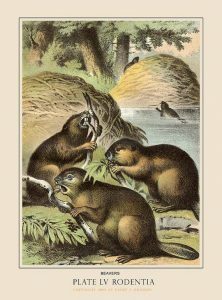 A lack of natural predators means the beaver population is increasing at high rates, and forming ecosystems where people are already terraforming — thus becoming a threat to local areas and businesses. There are several control techniques that are put in place by New Hampshire’s Fish and Game wildlife department. In certain cases, beaver trapping is the only option that can be performed in order to resolve pressing issues in the area. Beaver trapping is performed as a last resort when cultural control, water control, and avoidance fail. We New Englanders take pride in re-using and recycling whenever the opportunity presents itself. In the case of Eau de Musc, we wanted to make sure to source our castoreum responsibly. Anton uses every part of the animal, like any good trapper. The fur is sold, the meat is eaten, and some of the castor sacs are used as bait. We use the leftover castor sacs to create this unique product. We exercise responsible practices every day in the production of each and every one of our spirits, and use what is made available to us by the land. Never intrusive and never wasteful. That’s our promise. Cheers!